Everyday, we come to know about the various exploits of men, some who reach the moon, others who climb up the Mount Everest. 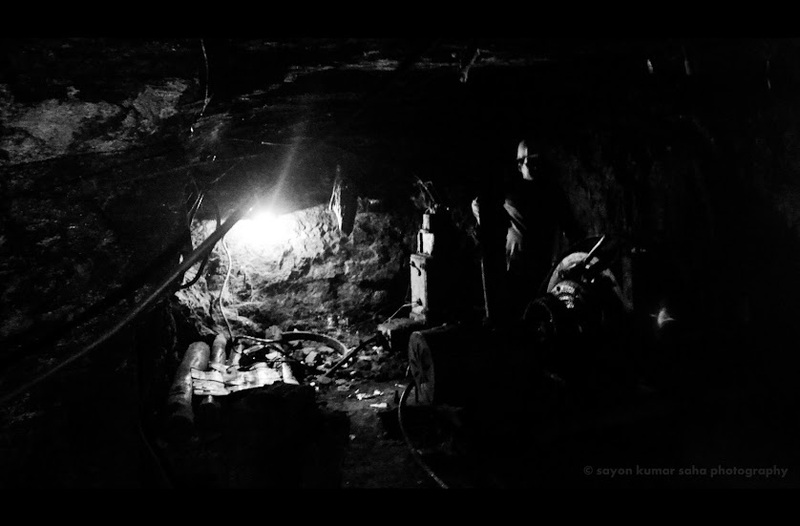 But have you ever considered the risk that a worker at a coal mine takes up daily? The danger undertaken by such a worker is no less than that of an explorer climbing up Mount Everest. However they do not make it to the newspapers. The only way they make it to the press, is only if they die in their attempts to earn a daily wage. 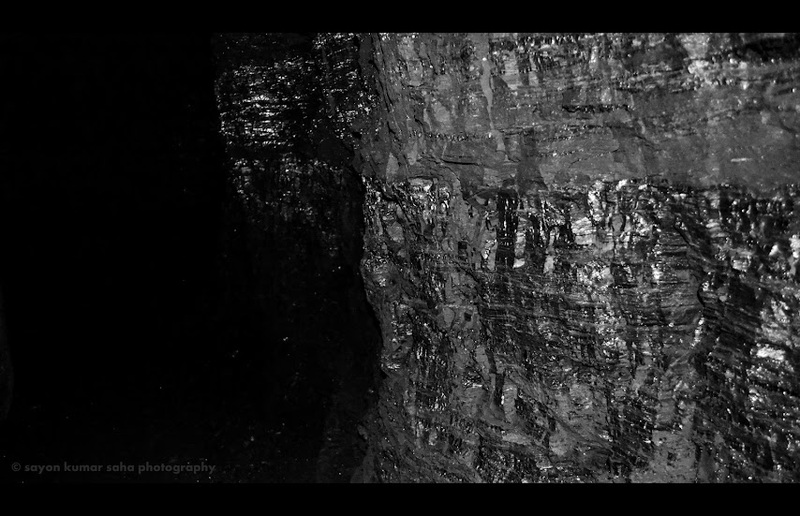 I stood at the mouth of the darkest cave that I had ever seen, and looked down. It was like standing at the edge of the world and staring into infinity and beyond. 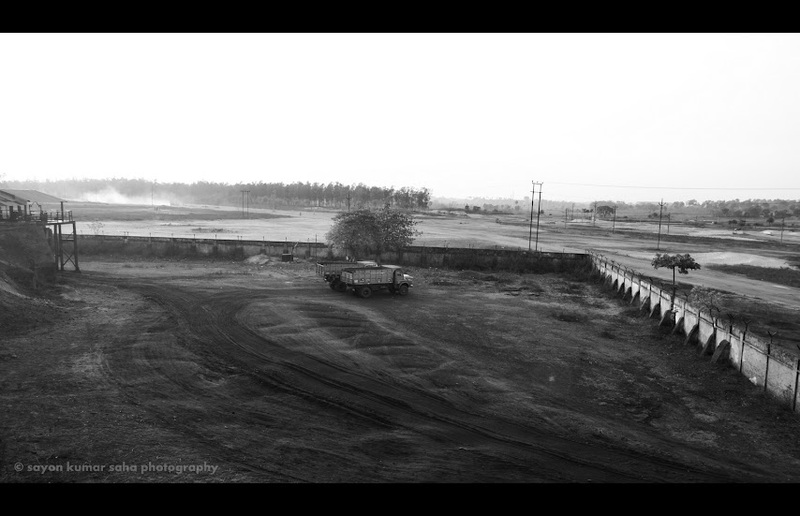 As the evening sun began to set and I looked around to see the various tubs sitting on their tracks and feeding coal to the hungry trucks below. 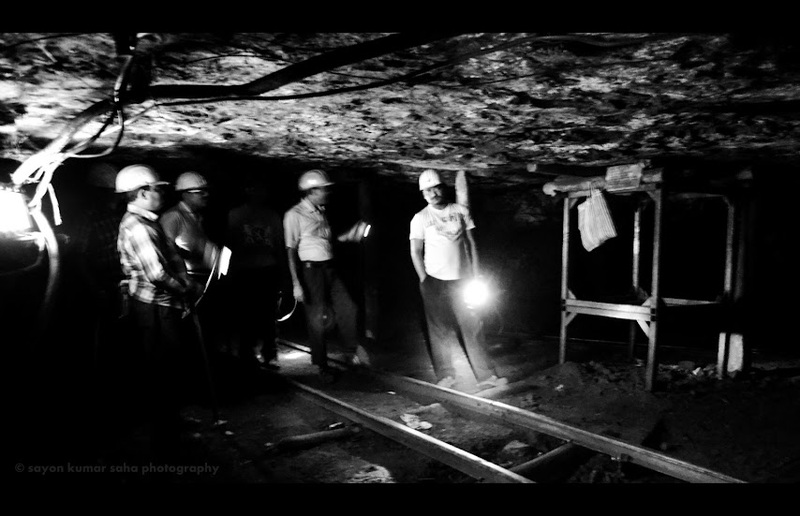 I saw fat cables being used to pull up the tubs as I geared up in the tools of the mining trade. Preliminaries being done with, we went down. 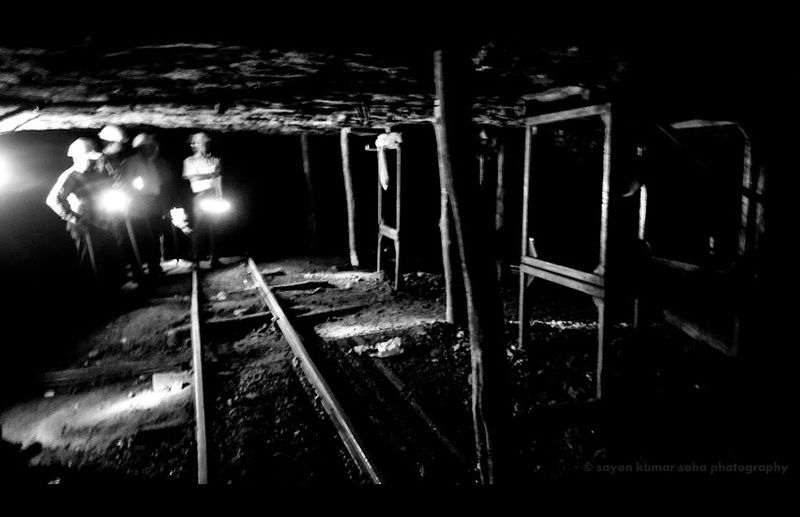 Even with my eyes wide open, Black- Black- Black, this is the only way I could describe the interior of the mine, known in the local terms as a Colliery. 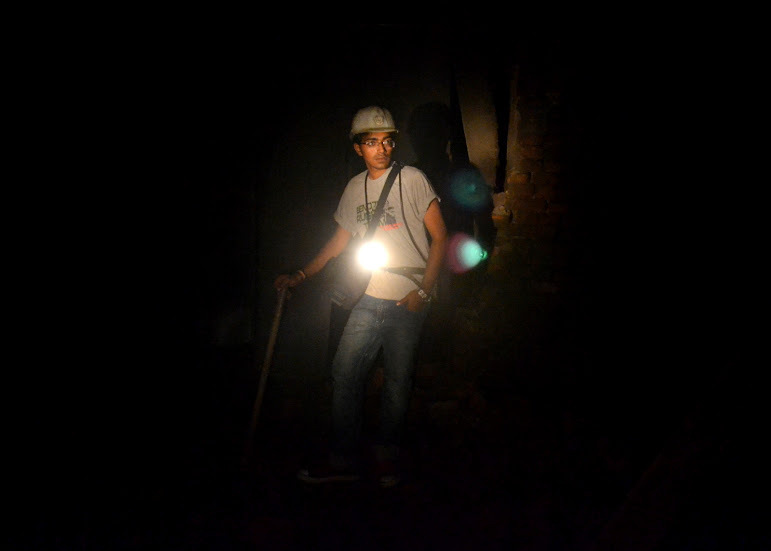 As for me, I felt like a Nat Geo explorer trying to explore the birth place of one of the world’s primary sources of energy. The air was moist and cool as we began our descent. The first 10 meters were quit smooth but then began the hardships as we went further down. 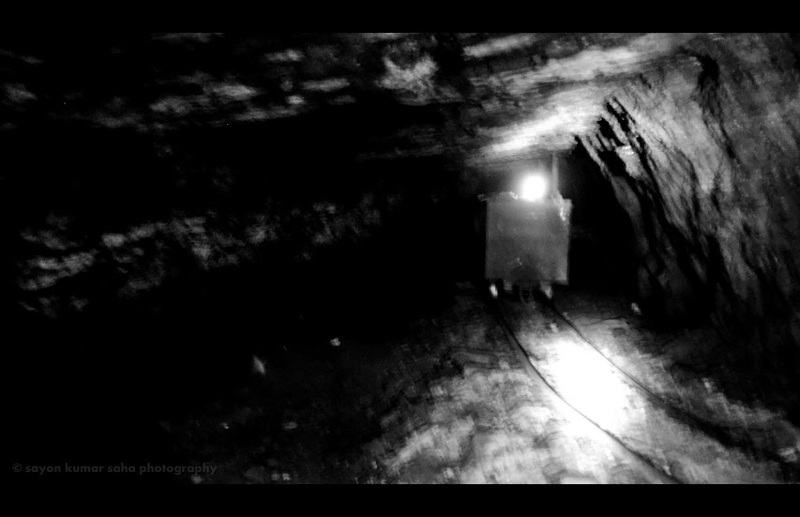 The coal, as I came to know were nothing but basically the cave walls itself, in the tunnel we were going through. The walls or pillars are disintegrated into large chunks with the help of dynamite explosions. The dynamites are connected in series so as to trigger a series of explosions, known as ‘Blasting’. 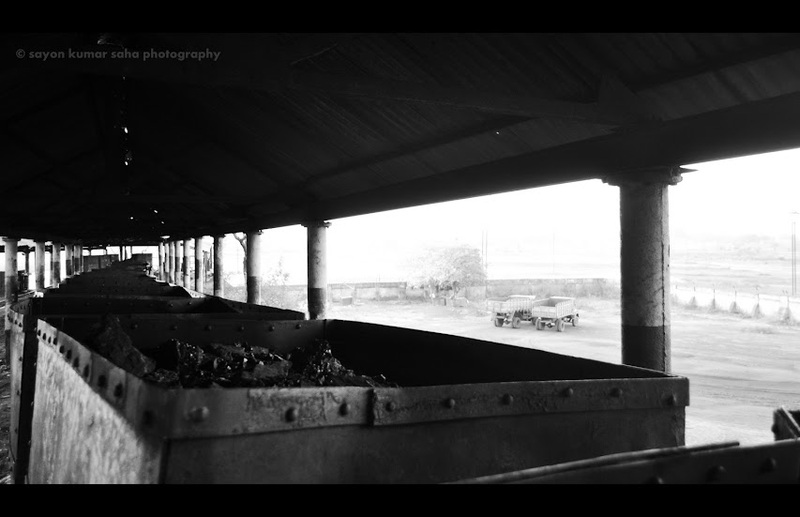 The temperature inside the Colliery and the constant oxygen supply are controlled by blowers. 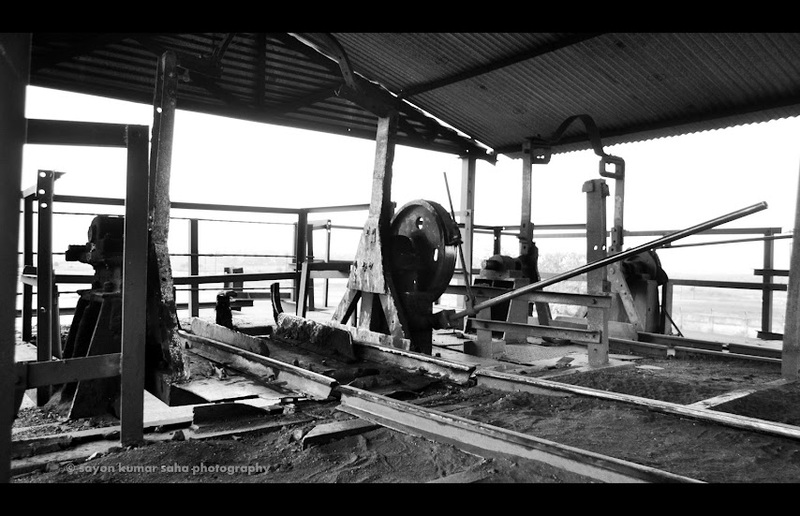 However, the pain began as we went in for a better view inside one of those disintegrated pillars. 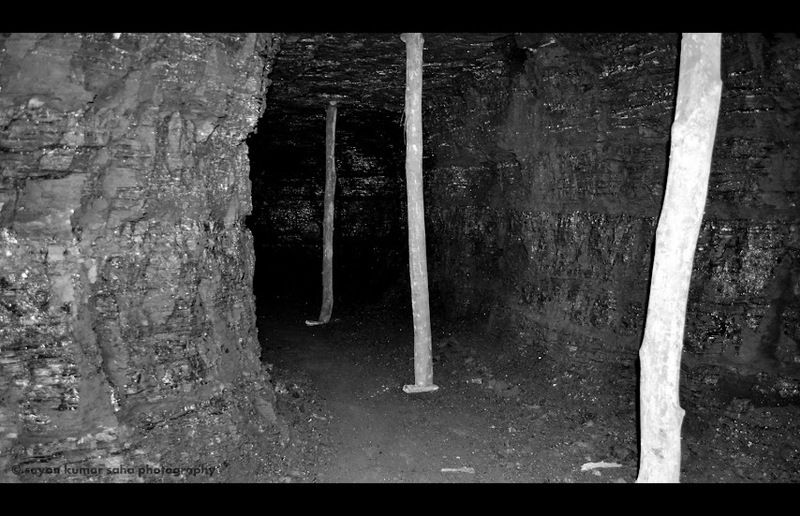 So as to prevent a cave-in, there are wooden or brick structures holding up the roof of the tunnel. 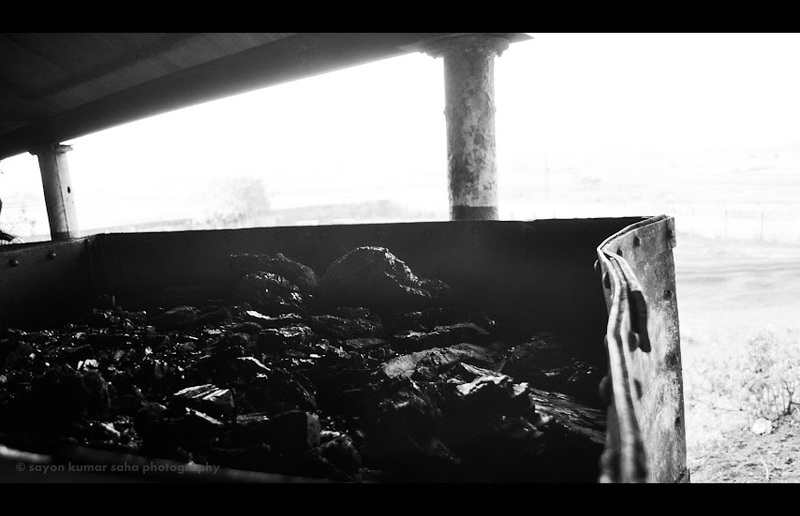 In some broken pillars, the coal has been taken out and replaced with sand. These pillars do not have the benefit of a blower and the place is rather damp and hot without one such blower. 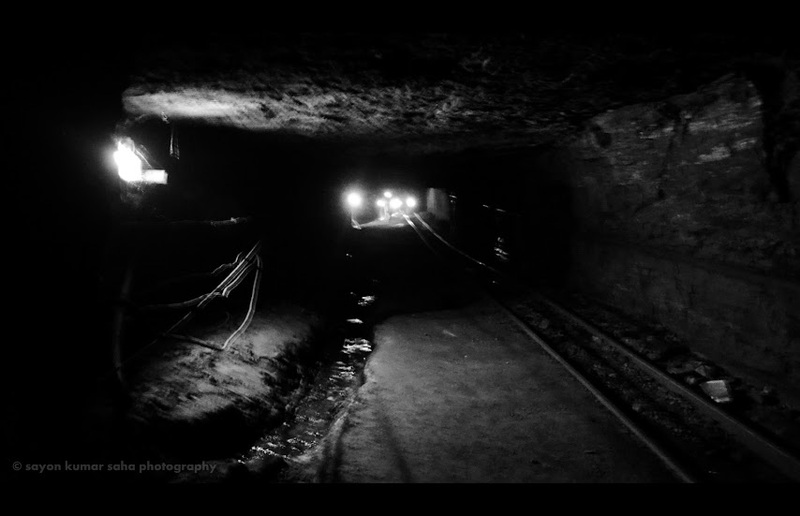 As we walked through the dilapidated tunnel to the site of the blasting, I felt the hardships of a miner’s daily life. 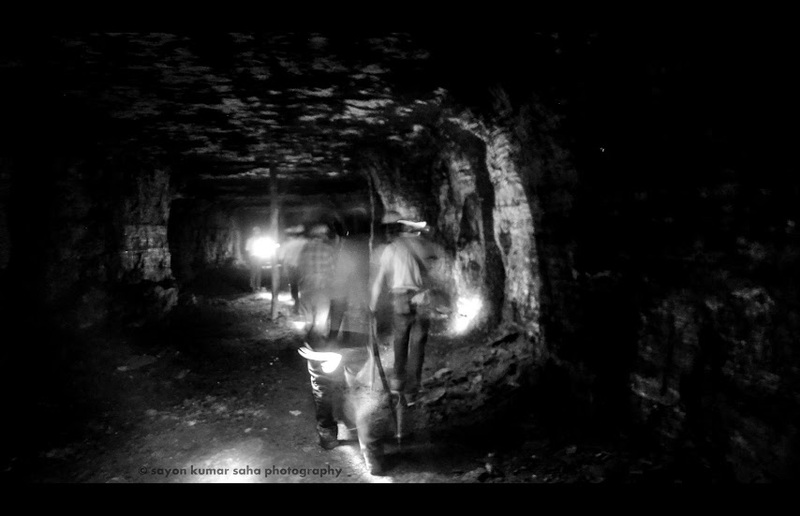 The path deteriorated quickly as we made our way through the Drift, which is basically a pathway between two coal mines of different depths. The path was filled with muck and was rather steep. 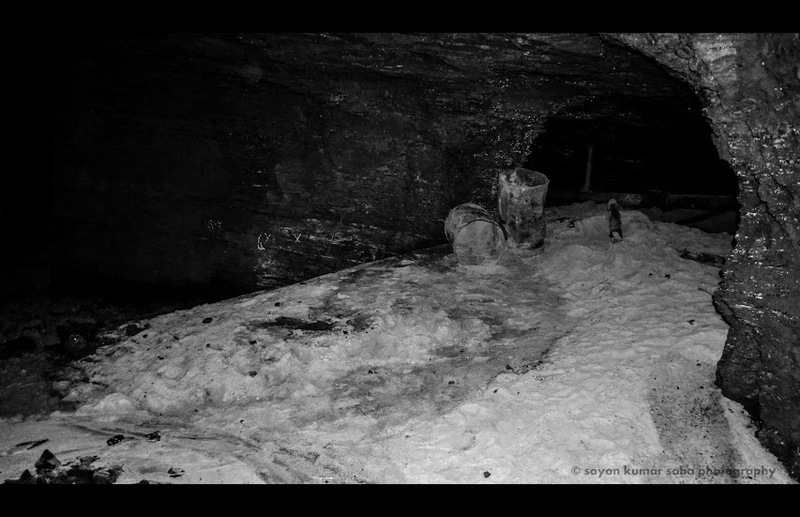 We could barely keep our steps as we made our way through this No Man’s land, slipping and sliding through the rubble. 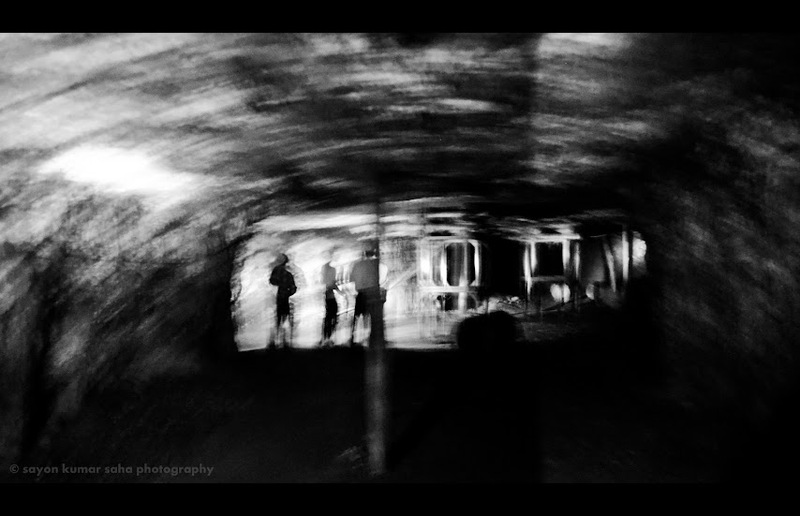 We picked our way through the stones, the coal and the sand, and finally, we saw a face. 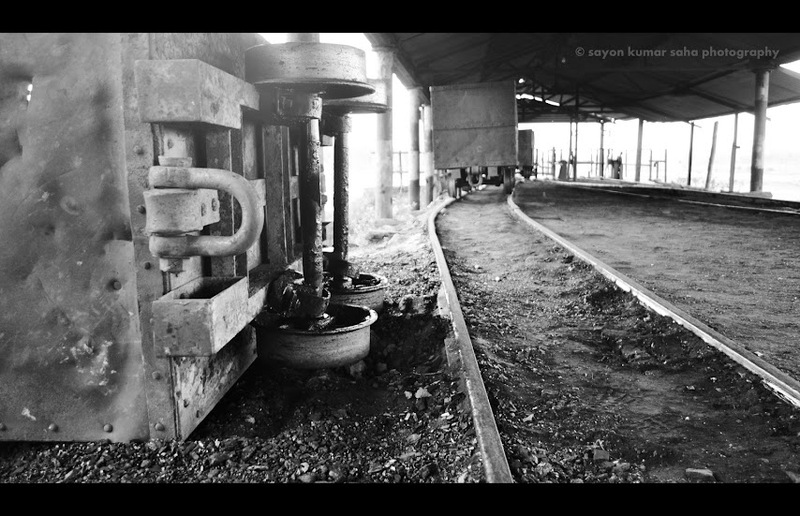 The man was a _Khalasi_ by occupation, and on asking what he did for a living, he replied, “Babu, I sit in the dark like a ghost for 8 hours a day, and all I have to do is to pull the lever a couple of times per shift and pull the tubs along the tracks.” This is the condition inside India’s coal mines!! Finally, we reached the blasting spot. 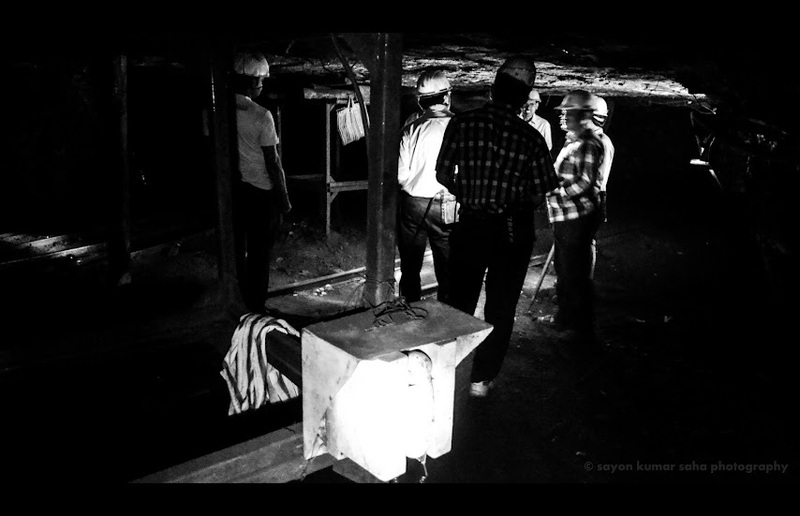 We watched with awe the miners drilling holes in the wall and connecting the dynamite in series. We were led away from the site following a couple of U-bends. The explosion was unlike anything that I had ever heard. 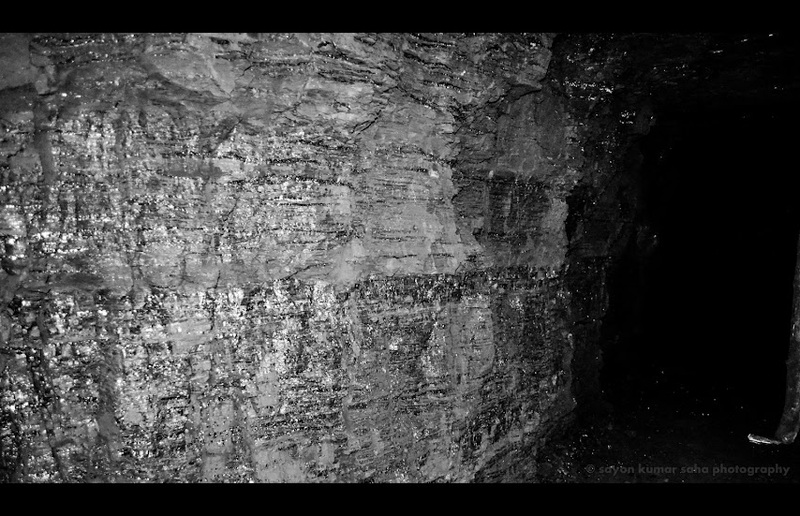 It was sort of suppressed, yet powerful, quaking the underworld enough to dislodge a few chunks of rocks and coals and having them fall on top of our heads. For the first time, the helmet did not feel like a useless piece of alloy sitting on my head. 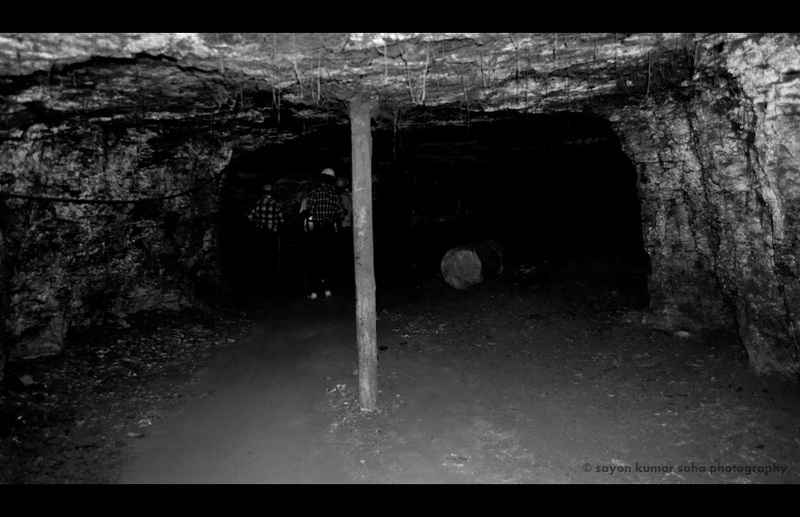 After 3 hours under the ground, we were finally led out of this literal hell of a place. The ascending journey was more if not equally straining as the descending journey. The belt ate into our skins as we climbed up and out of the Tartarus. During the last phase of our ascend, we were led into a dripping wet, cage like structure and were told that it would act like an elevator which would take us out. 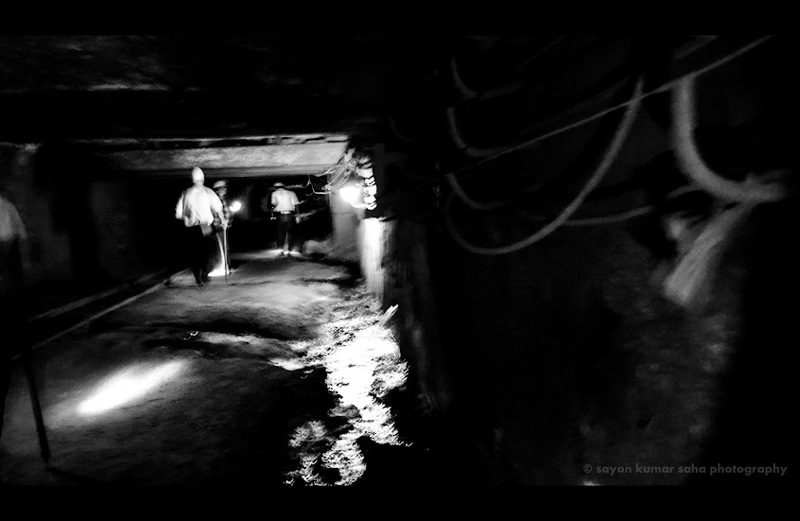 The jerking so called Dooley almost shook the life out of me as it began it’s ascend out of Hades’ kingdom, only to allow me to take in a breath of fresh air, after being 100 meters below the ground for more than 3 hours. Boy! Am I glad to be alive! one hell of a bookworm and keen ’bout writing fiction with a difference.